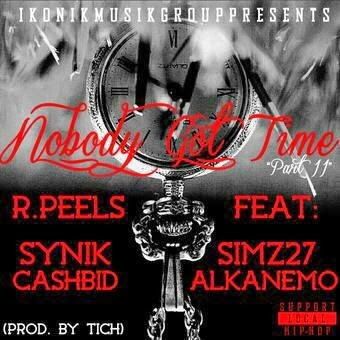 After dropping Nobody Got Time last year then getting signed to iKoNik Musik Group, R. Peels is set to drop his first release under iKoNik Musik Group, being the follow-up to Nobody Got Time, featuring Cashbid, Synik, Alka Nemo and Simz27. Peep what he had to say about the track and other issues in this short interview by the #teamJecha crew below. Nobody Got Time Part 2 drops on a date to be advised soon.